They’re back! Western Albemarle High School will bring it’s newest THOW to the show next month. 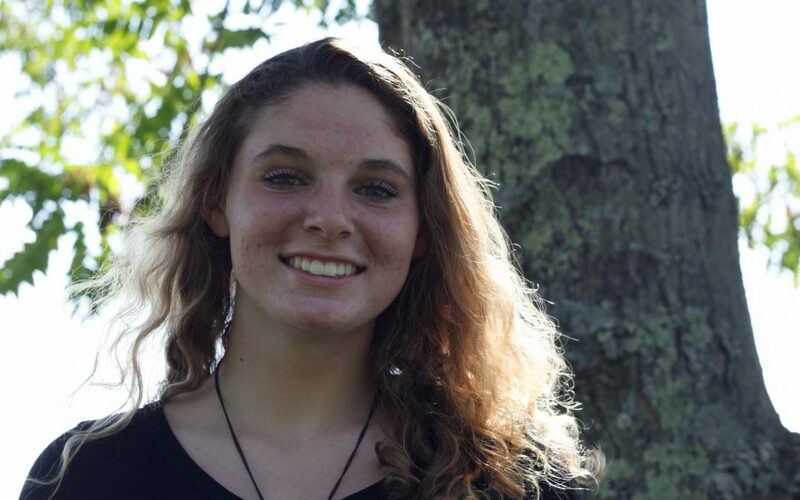 Last May, students from Western Albemarle High School in Crozet, Virginia, under the leadership of Caroline Bertrand, a career specialist at the school, brought a tiny house that they built in shop class to the Mid-Atlantic Tiny House Expo in Fredericksburg, Virginia. The group hoped to sell the house at the show. Fortunately, it sold, and the proceeds were used to build another tiny house. 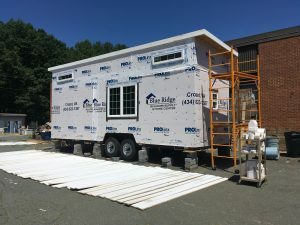 Meanwhile, a second tiny house project was undertaken by Western Albemarle students and is now approaching completion. Bertrand and her students plan to bring it to the Mid-Atlantic Tiny House Expo in Maryland next month. It is currently for sale with an asking price of $35,000. A company donated a red metal roof, and wood floors were donated by a graduated senior, according to Walker. “In the first year we asked for donations, in the second year we bought more things,” said Bertrand. “My favorite part is hands-on work. I’ve enjoyed installing the board-and-batten siding which requires a lot of blocking. We had to work together, and it was fun creating something as group,” said Walker. “We are going with a dark grey exterior. That should go well with the red roof. I haven’t picked a door color yet. I want to wait to see how the siding turns out first,” said Walker. “We are working with NOAH for certification at each inspection point, but since the house is not complete it’s not yet certified,” explained Bertrand. “If I was off by myself, somewhere deep in the woods, I would love to live in a tiny house. It would be great to just be by myself,” said Walker. “We are now developing a system where juniors plan and design their house and then build it during their senior year,” explained Bertrand. For more information about the project or purchasing the tiny house, please contact Caroline Bertrand, cbertrand@k12albemarle.org, 434-823-8700.